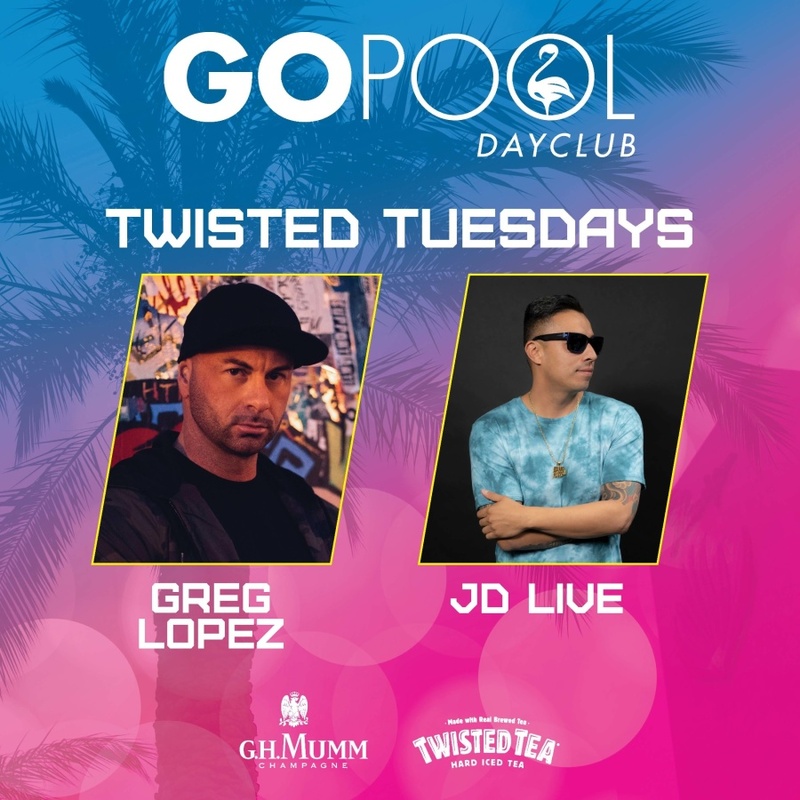 THE GO POOL PROUDLY PRESENTS TWISTED TUESDAY. DOORS OPEN AT 9AM WITH CRUZAN RUM SPECIALTY COCKTAIL PITCHERS AND BOTTLE FEATURES ALONG WITH TWISTED TEA BUCKET AND G.H. MUMM CHAMPAGNE FEATURES UNTIL 12 NOON. DJ'S GREG LOPEZ AND D-MILES WILL BE IN THE MIX FROM 12 NOON UNTIL 5PM WEEKLY.